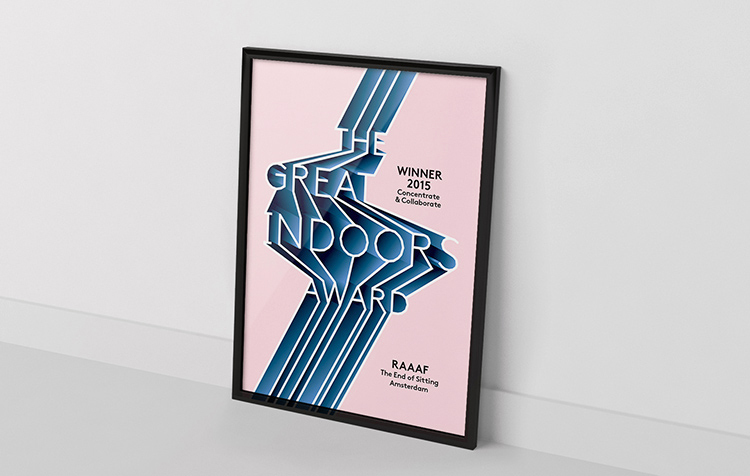 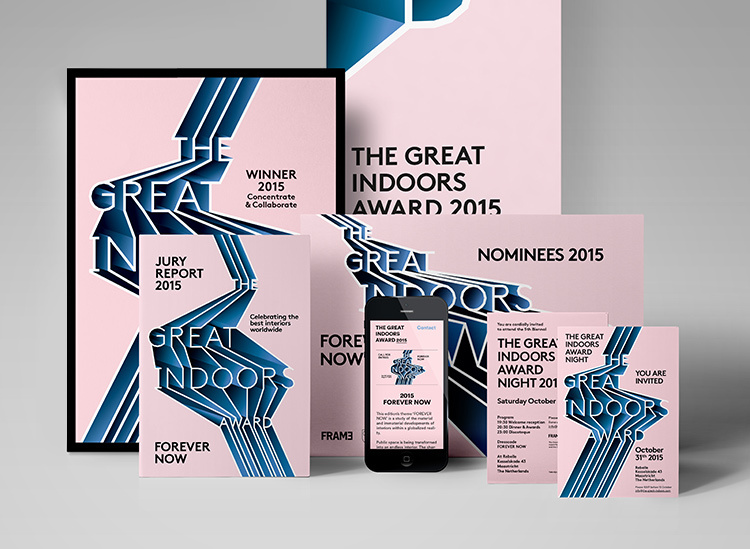 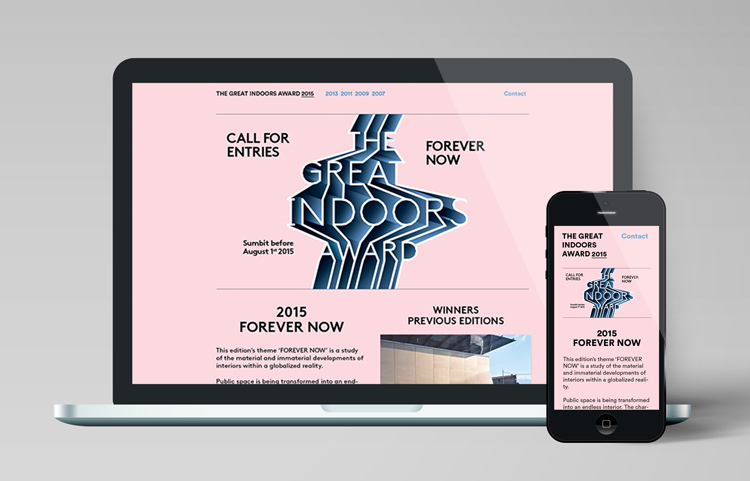 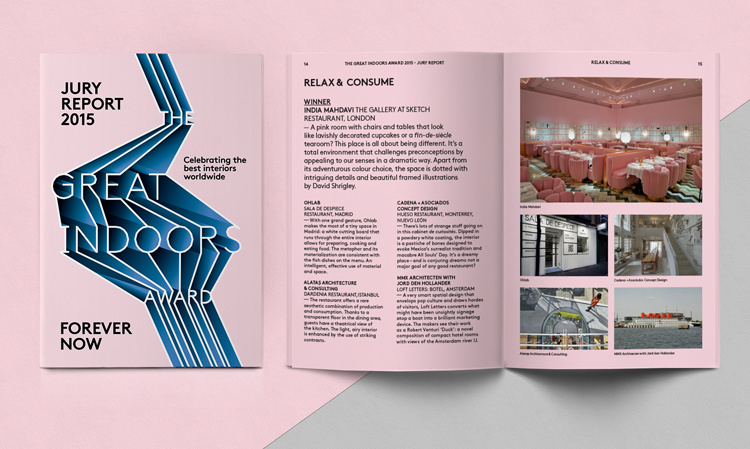 Identity design for The Great Indoors Award 2015, an international interior design award. 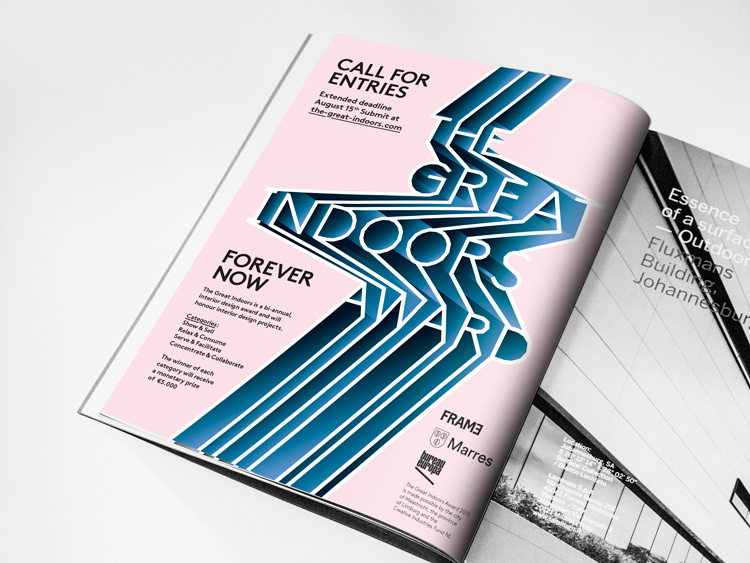 We created a dynamic typographic image as main visual for the event. 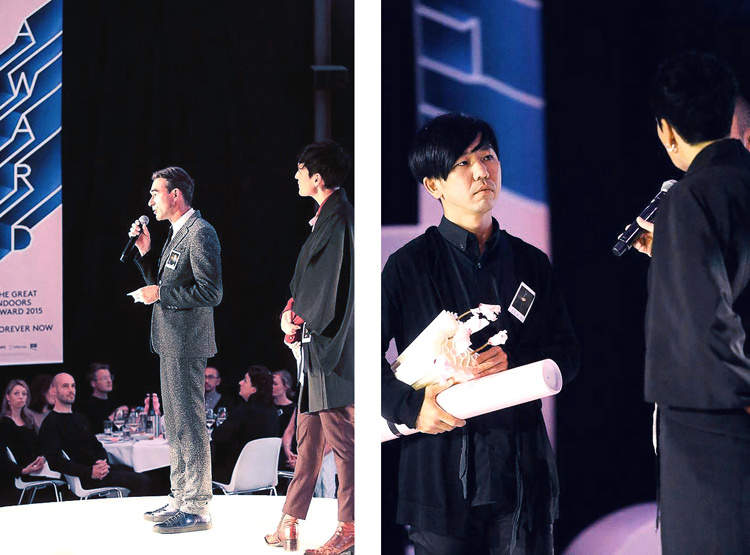 The shape of the image can be changed, so it looks slightly different on various platforms. 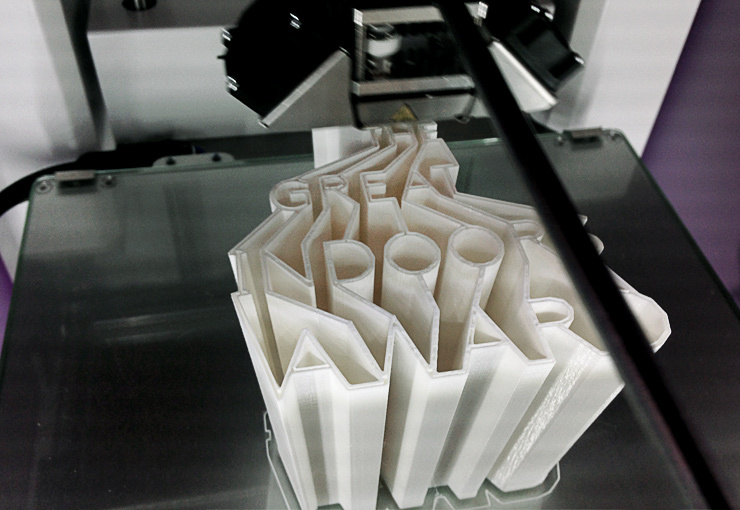 At the award event we 3d printed the logo which became the actual award.